LOVE YOUR LIBRARY. SAVE YOUR LIBRARY. We are a group of local volunteers, established in 2004, who support and promote our local library. 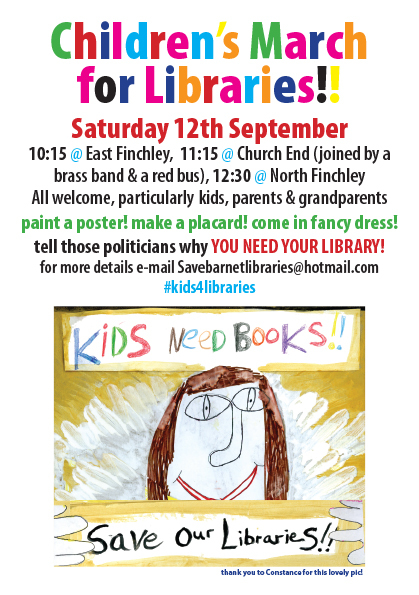 We are now in campaigning mode as East Finchley Library (along with most of Barnet's libraries) is under serious threat. 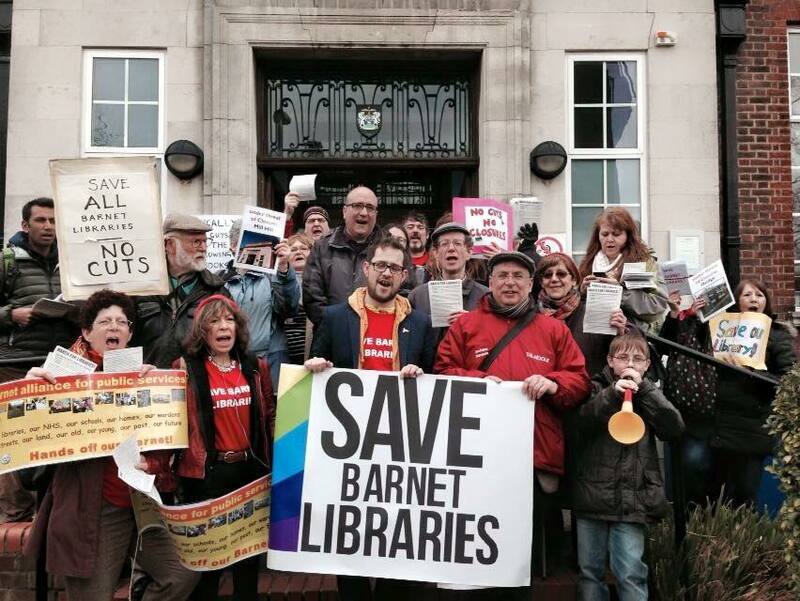 Barnet Council has proposed three future options for East Finchley Library as part of their cost-cutting. All three options we see as unacceptable and lacking in vision. They leave us either with no library in East Finchley or one the size just of the current computer room. The very special building that houses our library is Grade 2 Listed. 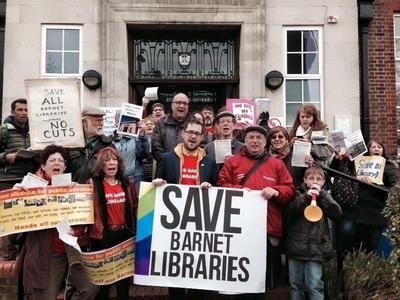 We are engaging with Barnet Council’s current consultation, despite the fact it’s rather loaded and designed to generate data they can use to drive through one of the three unsatisfactory options. 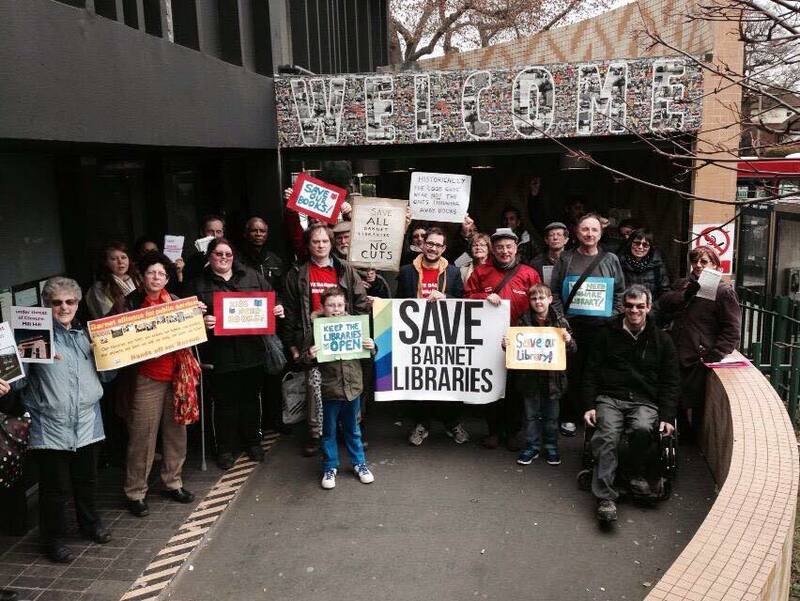 We are also looking to respond with a more imaginative, community-minded and sustainable vision for our 21st century library which will properly serve our community in all its diversity. See below for suggestions on how to respond, to the three bad options. 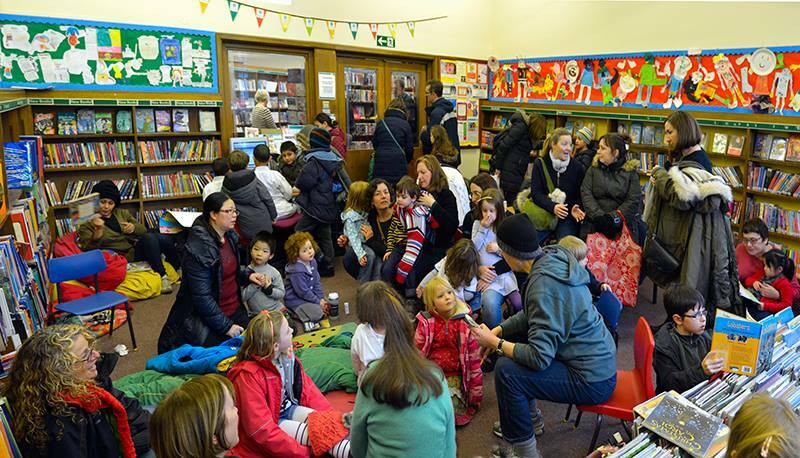 Please add your ideas for how to save money, generate revenue, make better use of the space and develop an even better library fit for our times on the Your Ideas page. Send us your love @LoveEFLibrary.